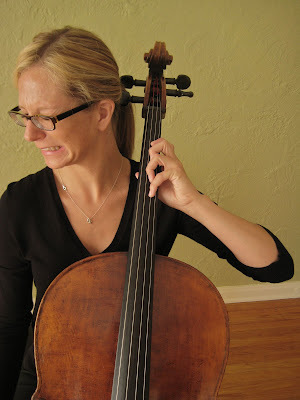 Aah, zee cello. 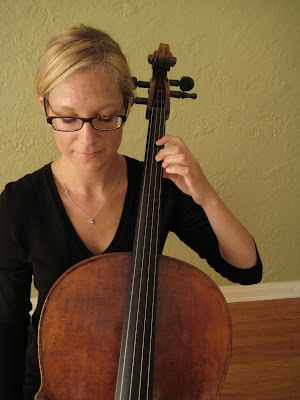 Look how relaxed and peaceful she is when playing zuh second finger wis good techniques. Zut alors! It is ‘orrible, zis shape! Yes, I am actually going to put that second one in the book. 🙂 photos by Terami, renaissance woman. Previousthis is the best I can draw. Nextcensorship? or a sign of maturity? That second photo just looks painful! Then again, we do all sorts of crazy things without realising it, things that use more energy than necessary, and once they’re fixed we wonder how on earth we did it the wrong way for so long. I want it to appear painful! Good! I think there’s something so unsatisfying about many of the technical books out there. They show all sorts of postures and they all kind of look alike, or are shown just from straight on and are not descriptive. I want people to see that hand and go “never!”. Then, when they practice in a mirror and see themselves doing it, they should have a real, pronounced reaction. Every student is going to do one of the “don’t”s. The purpose of the book is to delineate which is which and offer a real alternative. I know what you mean about the photos all looking the same. It’s one of the reasons why I asked for lots of pictures of lots of different kinds of hands: mine never look like the ones in books. I really, really need to buy a mirror. Maybe I’ll put that on my birthday list, too. Devils’ Advocate reporting in, after a bit of absence (Go Devils!). Seems to me that there may be times when the highly pronated position, or some of it, may be useful. Such as strumming or breaking on a D major chord: D-A-F#-D. Or some of that for the 16th note E-G-F#-E-B-G-F#-E-B-C… of the 2nd mvt of the Em Vivaldi Sonata. Now I know I play a bit slanted for your taste, and actually I ‘m trying to eliminate that for some contexts, but I’m reluctant to say goodbye to it completely. Yay Devils! Janos Starker endorses a flexible technique that does what it is asked to do, that helps the notes fit most comfortably in your hand. Absolutely. Play Devil’s Advocate when your hand is free of tension, though. Very, very rarely am I rewarded by straying more than a few degrees out of a squareish position. Wow…I need your book and a mirror! So much I’ve never thought about…I think I’m squarish….ah, mostly…but I’m now not so sure.